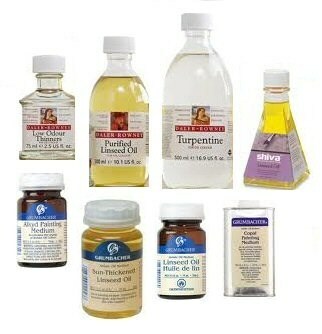 What Type of Canvas Should I Use for Oil Painting? Art stores exhibit different types of stretched canvases for various painting needs, from cotton duck, synthetic fabrics to linen. Various grades and textures can also be found. But when it comes to exploring various oil painting techniques, which canvas would be best and of which grade regarding texture? 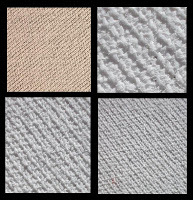 Canvas broadly speaking is woven fabric, often cotton, linen or hemp that has been entwined into a fine weave. The resultant fabric can either be rolled up for storage or pulled over a ‘stretcher’ ready for priming and painting. 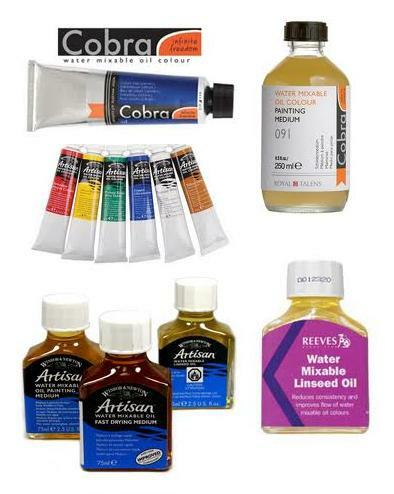 Oil paint or acrylic can be applied onto prepared canvas. Oil painting panels have been superseded with stretched canvas, but oil paintings on canvas can be found as early as 1400s. Canvas was traditionally manufactured from ‘hemp,’ the cannabis plant for its tough fibres, but is now produced from linen or cotton. The term ‘cotton duck’ is used to describe a type of cotton strand that is most commonly used for oil painting. ‘Duck’ in this context comes from the Dutch word ‘doek’ meaning ‘cloth.’ Linen is considered superior to cotton as the strands are finer and can therefore produce a highly-intricate weave with a regular pattern. Belgian linen is thought to be one of the best. Beware of cheap quality canvases that have a loose weave, likely manufactured from poor quality cotton. Telltale signs are the ease to which the fabric can be pulled this way and that. The weave will appear distorted and therefore will be more prone to warping once affixed to a stretcher. With a loose weave, the canvas will also be more unstable and prone to distortions. This will be hard to correct once the canvas has been stretched. Linen fabric is considered superior in quality to cotton, and the two do indeed come from different plants, being flax and the cotton plant respectively. Linen canvases are the more popular choices for the professional artist and are lighter in feel. But cotton duck, a later innovation, is more widely used for its economy. Cotton duck stretches more broadly and exhibits a more mechanical sort of weave pattern. However, what ultimately what matters are the robustness of the fabric and the tightness of the weave. The canvas ‘support’ must be properly sized with gesso or artist’s primer before embarking the oil painting. (Gesso is traditionally chalk ground in warmed rabbit skin glue, but artist’s acrylic primer can be used). Each coat of gesso will act to smooth over the texture of the canvas to create a flatter surface but retaining some of the grain. The size will also create a suitably tough surface for the oil painting, more vital once the canvas has been stretched. Of course, without this vital layer, the oil in the paint will sink into the fabric and cause it to rot, not to mention create a dull painting. An array of canvas weaves can be found in between offering lots of choice. But when it comes to working in high detail, it might be wise to opt for fine-grain canvas, as the intricate weave offers a suitable art surface for the paint to fill the ‘depressions in the fabric, as they are smaller. This means that only a small amount of paint will be needed to express brush marks. Another advantage is that fine sables can be used to express fine, even lines on a relatively flat surface. The fine bristles will not wear out so easily. Ideal art techniques to explore might be fine glazes, dry brushing and high detail. 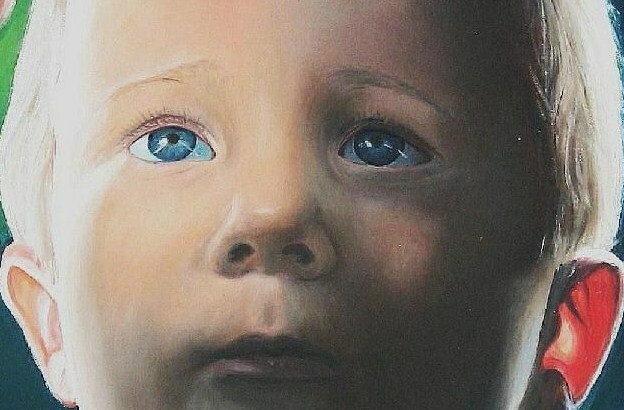 Realism in portraiture or smooth effects in skies or water can more easily be achieved with fine-grain canvas. 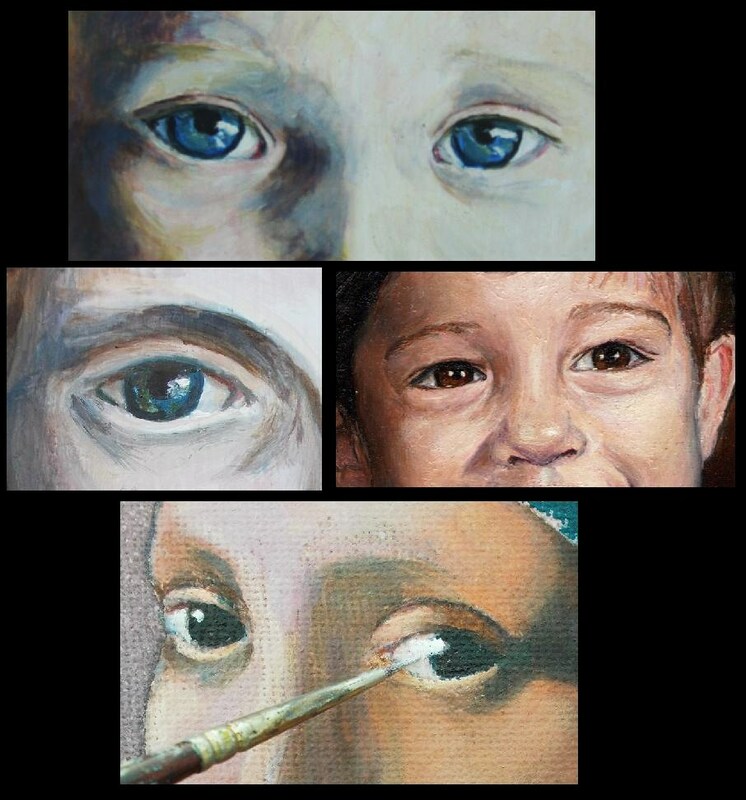 Indeed, ‘portrait linen’ as its name suggests, is geared towards the fine detail of portrait painting. In respect of such exacting techniques, the quality of the canvas is vital. Stretched canvases with coarse grain might be more suitable for artists wishing to express looser, more uneven paint layers, as can be seen in impressionist art or landscapes. 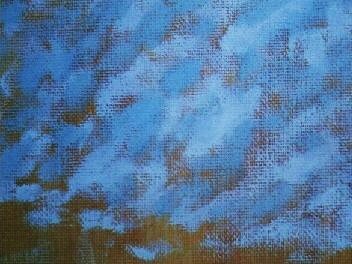 The use of wide bristle brushes or impasto might prove complimentary to this distinctive canvas weave. With deeper troughs between each strand, the paint will ‘skid’ over the surface, creating interesting patterns within the painting. Such effects define an oil painting completed on canvas. In respect of more robust expression however the quality of the canvas is not so vital, and indeed, fine grain can be used for expressive art. Medium grain canvas can be used to suit most subject matter and techniques, such as alla prima or for a beginner in oils. Medium grain is more widely available for its popularity and therefore can be purchased cheaply in some supermarkets as well as art shops. Canvas made from synthetic fibres offer a cheap alternative, but being a relatively new innovation, has not stood the test of time as yet and some artists may avoid it. Canvas paper also offers a cheap alternative for the artist who wishes to explore painting onto canvas textures. Canvas paper is simply thick paper that has been moulded via heat to create a canvas-like surface. The surface of the paper has already been sized, ready for the oil painting. Oil painting paper can be found in art pads of twelve, ideal for the beginner concerned over the cost of stretched canvas. Canvas glued onto board in the form of canvasboards or canvas panels are available for the artist who does not like the canvas’ ‘give’ during the painting process. This form of art support can easily be made at home with good quality, tough linen fabric. Simply glue the fabric onto a firm surface such as hardboard or panel. Plain fabric such as sheets or polo shirts can be used. Avoid dyed fabric or those with patterns. I used PVA glue, but as it is not fully water resistant, will fix it by blending artist’s acrylic primer into it. I will apply a liberal coat onto the panel before stretching the fabric over the panel. Apply a coat of the acrylic-glue mixture over the fabric once stretched, before applying a final coat of primer. 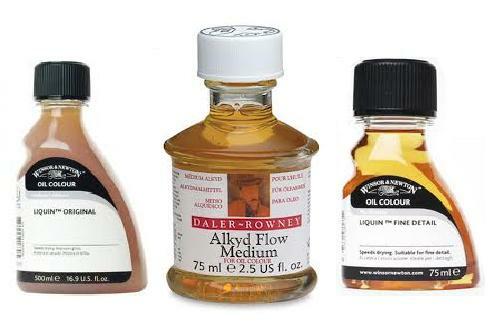 This will form a tough, firm surface, ideal for oil painting. Preparing your own canvas board also offers more choice for the artist regarding the grain of the fabric. Choosing the best canvas for a particular oil painting technique requires some thought. 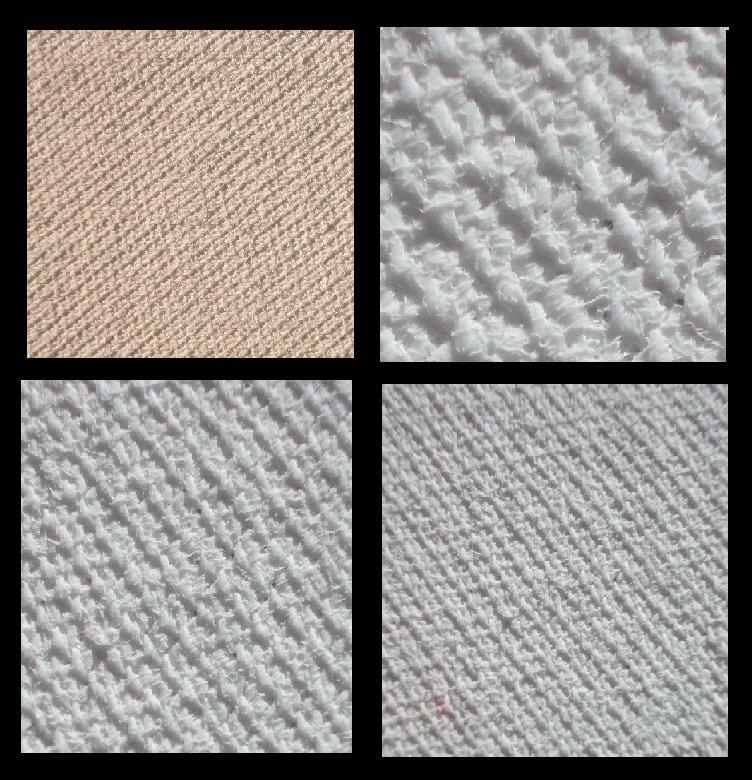 Canvases can be found in linen, cotton duck and synthetic. Canvases are often stretched over a frame, but can also be glued onto panel, or the texture embossed onto paper. The weight and grain of the canvas are denoted by numbers, beginning with 1 for the coarsest and 12 for fine. 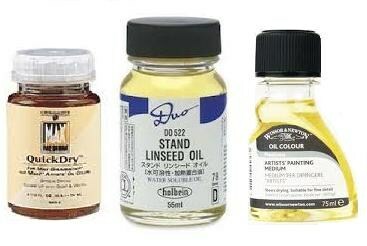 Fine-grain canvas would be ideal for high detailed work or fine glazes. Coarse canvas would be ideal for the artist who wishes to explore how the paint skids over the texture for scumbling or quick oil sketches. 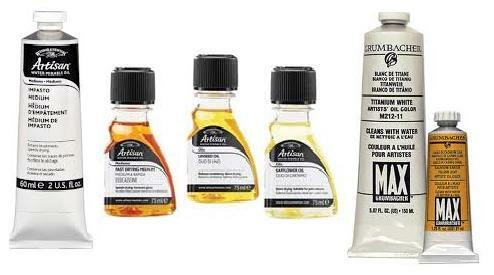 Canvases must always be properly prepared with a gesso prior to applying the oil paint.